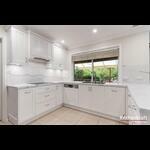 Kitchen Renovation at Cherrybrook, Sydney. 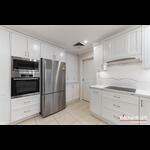 This Cherrybrook kitchen was recently installed by the Kitchen Kraft team. 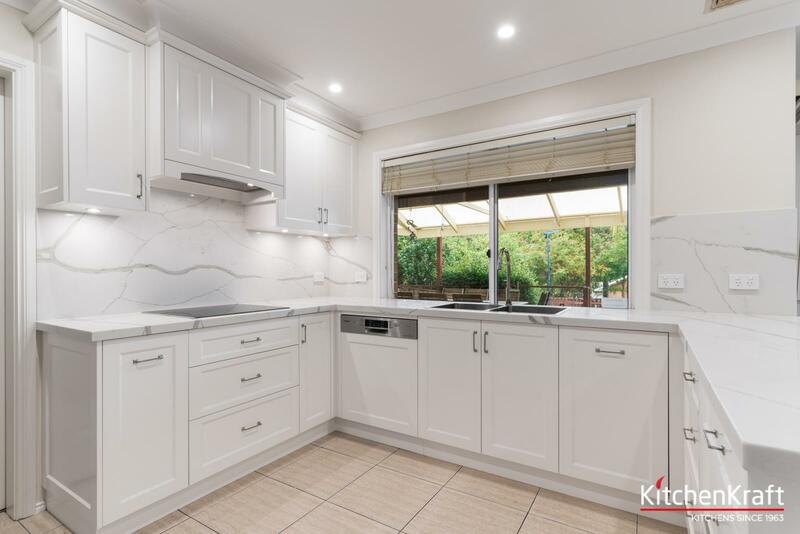 The bench tops and splash back are by Smartstone in Calcatta Blanco which offers high performance, low maintenance, non-porus surface and never requires sealing which is a popular choice in today's kitchen renovation.This kitchen incorporates the ever popular polyurethane shaker profile door sprayed white, offering a desirable classic look. 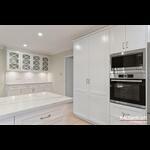 Each custom built Kitchen Kraft project is designed with functionality and personal requirements in mind. 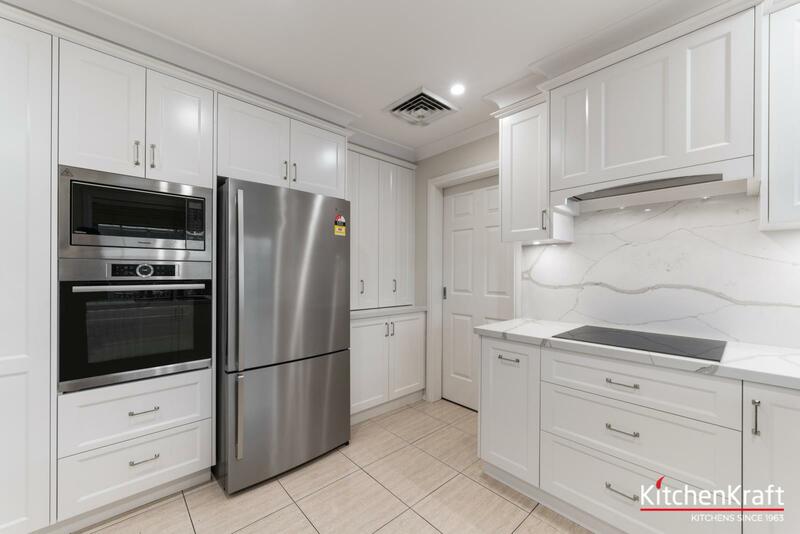 Here we have integrated the oven and microwave at the desired height allowing additional underneath drawers for that ever important storage. 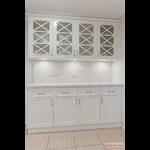 The large pantry is easily accessed with quality Blum soft close hinges and internal drawers. 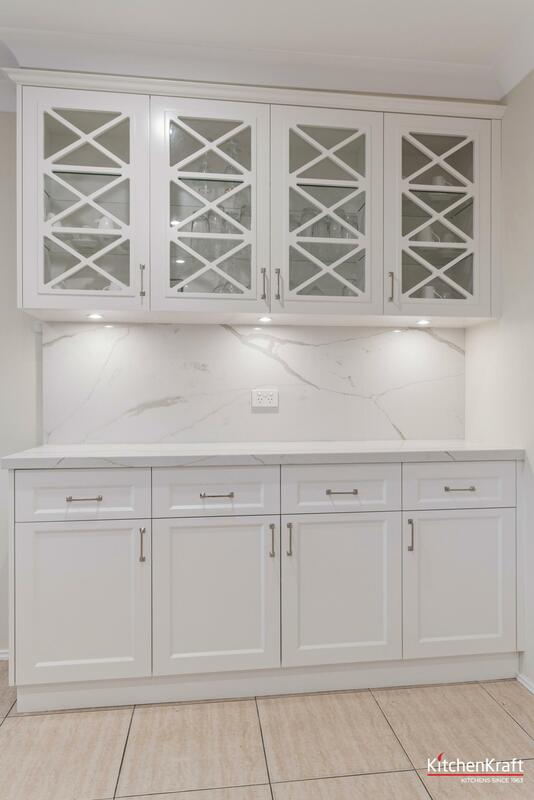 Under LED lighting was installed on the wall hung cabinetry giving additional distinction and unique style to the room. 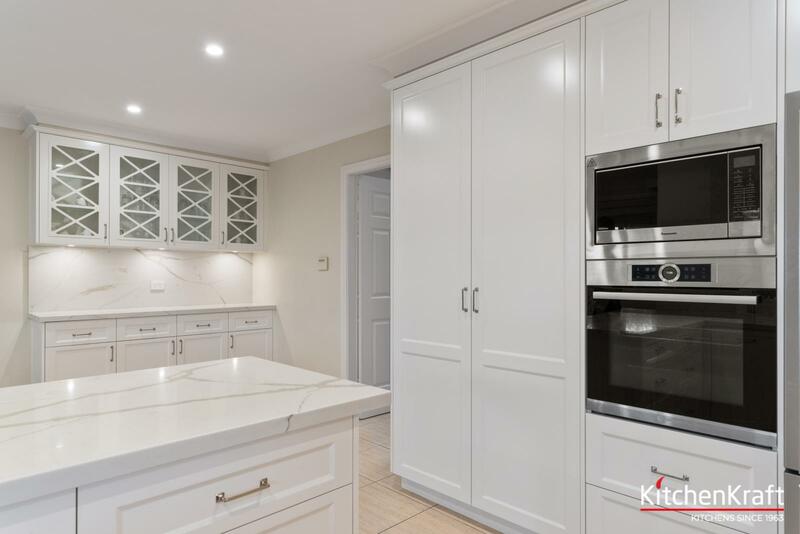 KitchenKraft completed all trade work involved including removal of pre-existing kitchen, plumbing, electrical, installation, stone work and gyprocking. 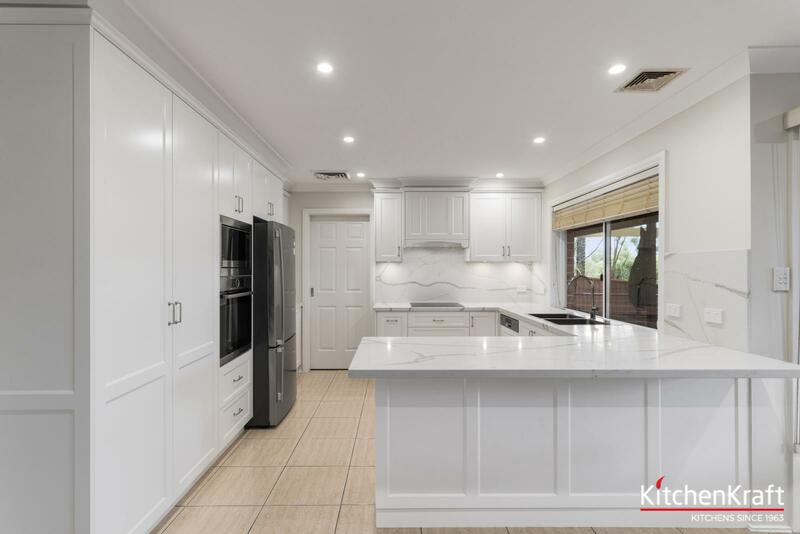 Kitchen Renovation at Cherrybrook, Sydney has been designed with functionality and personal requirements in mind. 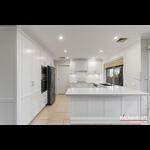 For such Rennovations, Call us at P: (02) 9807 3766.